Home FEATURES	What is SPAT? Well, they may be screening That Sugar Film this month, but what actually IS SPAT? The Stanwell Park Arts Theatre is a small amateur theatre group which has been running since 1974! Yes. That’s more than 40 years! 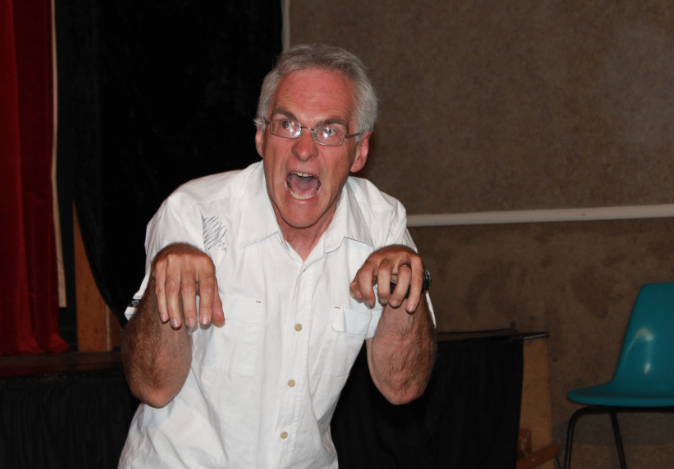 Pictured here is the society’s Wayne Turner, getting his fierce on. Part of this amazing community organisation is the Stanwell Park Film Society, which was launched around 1999 and screens about four movies a year for residents of the Northern Illawarra and their guests, and any tourists who happen to be in the vicinity. Being a film society there is no admission charge to watch a screening, but the first time you come, they do ask you to join the Society. It’s just $25 for a family and $10 for an adult. And excitingly, SPAT also has a choir! Members meet every Friday to finish the week with a song! That makes me happy just to write about! The next film screened by the Stanwell Part Arts Theatre is ‘That Sugar Film’. The screening starts at 7.30pm on July 25 in the Stanwell Park CWA Hall, The Drive, Stanwell Park.